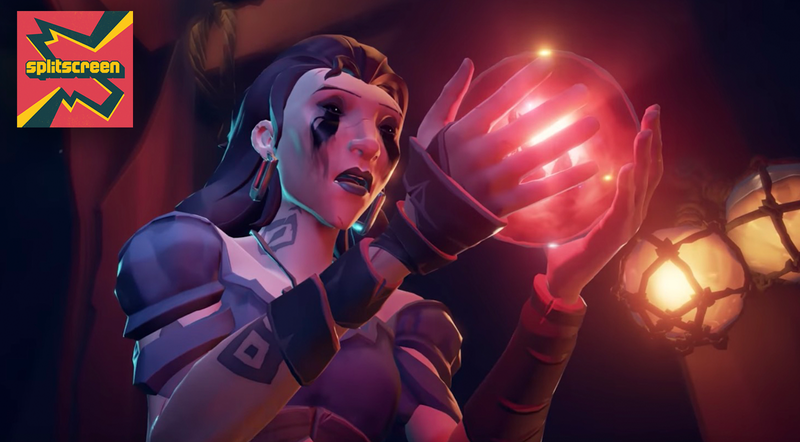 At Microsoft’s E3 press conference on Sunday, Sea of Thieves studio Rare showed off some of the latest DLC coming to its piratey Xbox One/PC game. Later at the show, we talked with the game’s executive producer about how the studio plans to keep that pace up over the months to come. As part of Kotaku Splitscreen’s ongoing coverage of E3 2018, my colleague Jason Schreier sat down with Sea of Thieves executive producer Joe Neate to talk about the game. It was a cool chat; you can listen to the whole thing below or download an MP3 here. Below is a lightly edited transcript of a part of their conversation where they talked about Rare’s strategy for keeping a steady flow of new content coming to the game. Jason Schreier: Before they really commit to a service game like this, people always ask, “Alright, so how long is this really gonna be continually updated? How long is this game gonna last? Is Rare going to pull a Bungie and release Sea of Thieves 2, like how we went from Destiny to Destiny 2 and we’ll have to start from scratch again?” To a player who might’ve heard that Sea of Thieves started off a little empty and is getting more stuff over time, what would you say to mitigate their concerns? Joe Neate: Our goal at launch was to establish Sea of Thieves. It’s a new IP, which is a challenge to launch, right, something that’s trying a lot of new things like Sea of Thieves, which it did. And trying to create this different type of multiplayer game. That was our goal for launch, and all of the numbers that you see up here on the wall, the one and a half million friendships, the four million players, 22 hours average playtime per player, those are all awesome. And show that we have succeeded. We exceeded our expectations in terms of all our internal goals. In terms of numbers and everything. Neate: In terms of whether it’s revenue, or whether it’s Game Pass kind of players and stuff, all of these things, which are goals for us. And so that’s given us the right, it’s earned us the right to [say], let’s go all-in on Sea of Thieves. So our team size now is bigger than it was prior to launch, in terms of investment. Schreier: How many people are on the team? Neate: It’s a good question, probably about 150 in total I think, or something? But the actual investment in terms of engineering, design, VFX and stuff, because we’re all-in on delivering content to players. That’s our mantra. We’ve currently got three teams—Hungering Deep, Cursed Sails, Forsaken Shores. We’re spinning up a fourth team so that we can get into this rhythm of four teams leapfrogging each other over time. So the Hungering Deep team had the shortest lead time, but they’re now at the back of the queue and they’ve got a nice long lead time to deliver. The Cursed Sails [team] had longer, but not as long as they’d want. Schreier: What’s the ideal cadence, for new content? Neate: Six to eight weeks. The ideal’s six, reality may be eight. Schreier: Reality may be twelve, ha ha. Neate: [Laughing] But we want to get into that rhythm. And if we can get to a place where we’re delivering every six to eight weeks, content that will have been worked on for anywhere up to four, five, six months by a team. That’s epic! You can imagine, what we put in for The Hungering Deep was like seven, eight weeks for a team. The Cursed Sails will have more things in it because it’s had a bit more time. Forsaken Shores, the same. And you think of all those seven categories, we’re trying to get as many things, trying to hit something in each category for each update. And each update will have its tentpole release thing. It’s the skeleton ships for Cursed Sails. It’s the new part of the world for [another one], and the next one has its own unique thing, and that’ll be different again and different again. Basically we’re all in, and I want to be coming back here in a year, and sitting in here with you, and have an entire new set of [things] that’s gone crazy, and massive. Schreier: So is Rare the Sea of Thieves studio from now on? Neate: The Sea of Thieves team is the Sea of Thieves team. Schreier: So you guys have multiple teams working on multiple projects. Neate: [Chuckling, clearly understands what Jason is trying to do] Rare is always looking at new things and new stuff, it’s always fun. We’ve got a lot more coming from E3, with interviews and more rolling out in our podcast feed throughout the week. As always, you can subscribe to us on Apple Podcasts and Google Play to follow along. Leave us a review if you like what you hear, and reach us at splitscreen@kotaku.com with any and all questions, requests, and suggestions.